A ready to move flats are the most desirous flats for home buyers now a days because many properties are delayed by the builder and possessions are awaited form last few years. 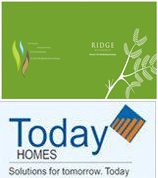 Home buyers are agreed to pay hire price for ready to move flats now a days. Though maximum number of properties are bought by taking home loan and buyers will have to pay EMI of disbursal amount to the respective bank. If buyer purchase a flat on home loan and builder is not giving the possession of respective flats on committed date then buyer will have to continue with his/her EMI without getting flat. Therefore maximum home seekers are now looking for ready to move flats in Noida, Greater Noida, Noida Extension and Yamuna Expressway. Ready to move flats are more justified because here buyer can see the property physically and he/she doesn’t need to visualise the flat by having picture or layout of the flat on paper. Moreover many of the residential and commercial projects in Noida and Greater Noida have come possession because these are projects have been commenced four to six years back. So Developer has also reads to move flats for sell now a days. As NCR is developing rapidly. Migration is also increasing with same velocity from all the states across the country. 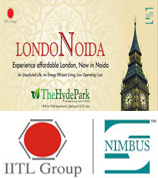 Noida / Greater Noida are the locations which are most demanding locations from all kind of industries. Although Delhi has become highly congested now and realty market in Delhi has also become too expensive. 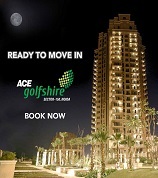 Now people are looking for accommodation in Noida or Greater Noida. So demand for residential space has been drastically increased in these locations. Many project developers have entered in Noida with their respective residential projects by measuring the demand of residences. Many flats are being constructed in Noida by different builders and many of them are still under construction. Most of the flat owners are exploited by builders, because buyers have to pay rent in which they stay and at the same time they have to pay EMI every month to their respective banks. Now Prop Mudra real estate services has initiated services for those people who are looking for ready to move flats / Villas in Noida. Prop Mudra is now one point connect where buyer can come and get the ready to move flats / villas on reasonable price along with all real estate solutions. Prop Mudra takes all the responsibilities for home loan, back-end work and registry. Prop Mudra has wide range of residential projects which are operational and people are residing in their societies by availing all amenities and having great lifestyle. 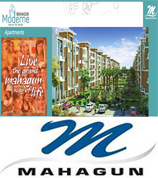 Prop Mudra caters all segment of home buyers who are looking for ready to move flats / Villas. Prop Mudra has dedicated professionals for resale who are highly knowledgeable and they have huge experience to serve their customers and close the deal amicably. Prop Mudra real estate is situated at sector - 18 Noida, which is one of the highly happening place in Noida and its approachability is quite convenient to reach. Prop Mudra has ample experience of real estate industry. This location is now considered as hot cake in NCR because of its connectivity and infrastructure development. All big Multinational companies are operational in this location. Many Commercial buildings, Malls,Hotels, Hospitals, Schools, colleges and Amusement parks are functional in this location only. 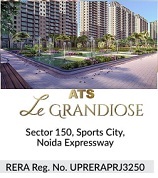 Home buyer can avail such facilities by purchasing flat at Noida Expressway. At Noida Expressway these are the sectors where someone can purchase ready to move flats: Sector - 45,46,93, 93 A, 94,100,107,110,108,137,135,168,143 extra. Central word itself says that central Noida will be existing in centre of Noida. This location is inhabited, current metro station is near and infrastructure is also satisfactory. Central Noida is being developed by Noida Authority for residential prospective and it is fully occupied with residential land . These are the sectors where one can buy a ready to move flat for his/her accommodation : Sector - 50,74,75,76,77,78,79,119,121 extra. Noida extension is the part of Greater Noida west. This location has maximum numbers of residential projects which are considered as affordable housing. Many projects have been launched at very reasonable price. Noida Extension is added with multiple connectivity. National highway 24 connects Noida extension with Ghaziabad and East Delhi. There is also separate connectivity for Central Noida and Pari chowk Greater Noida. Metro is also proposed till Kisan chowk. This area is being developed for so long and over the period of time Greater Noida have come out along with suitable living environment categorically. 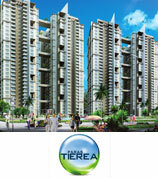 Ample part of G. Noida is full of greenery, many play grounds are there and enough green parks are situated. 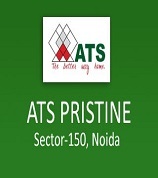 Most of famous schools are functional which are considered best schools in NCR. Gautam Buddh, Noida International and Galgotia are the universities which are luring numerous students to get the study and stay. Though Formula-1 and India Expo-mart are the places where every year at-least one event has to be happened, which makes Greater Noida famous globally. Greater Noida is the best place to stay because of its connectivity from Delhi and developed infrastructure. These are the best sectors to stay - Chi-V, Alfa, Gamma, Beta and Zeta extra. 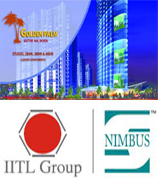 Summary:- Prop Mudra real estate is one of the finest property consultant in Noida. Prop Mudra has diversified sales teams who are executing deals in different parts of Noida, Noida extension and Greater Noida. Home buyers can have one point contact for availing services from Prop Mudra and they can be assured for all responsibility which a property consultant needs to do to close the deal amicably. As many residential projects are at the verse of completion and investors are exiting. Similarly many home buyers are now looking ready to move flats only. Here, Prop Mudra is playing key role by doing educated consultancy. Therefore people can trust on “Prop Mudra real estate service” for closing the deals and get the excellent services till end of the deal.